c.1940's. 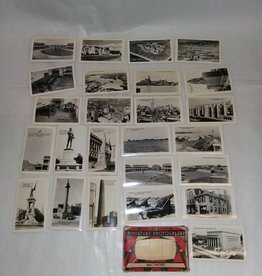 Packet of 25 miniature real photo postcards of Baltimore. In original packet designed to be mailed just like a postcard. Packet is worn, 3x2"